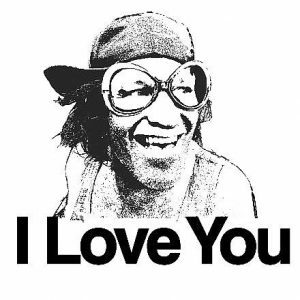 In the last month we’ve handed out over 4200 I Love You’s with our RadSomeone tribute…where we hand out one I Love You Sticker to you and another for YOU to hand out to someone. I’d like help spreading and sharing the I Love You message across the world and I’d love your help in this endeavor and this is how you can help you me spread the LOVE. 3. You can sponsor and support an I Love You Giveaway in your city/town/event anywhere in the world…where we spread love to hundreds and thousands of people in that town, city or event. Help me spread the I Love You Message around the world.